A Guide: The following overview has been issued by the RFU on the subject of child abuse. This document is intended as a guide for people involved in the coaching, management and development of Rugby Union within the club environment. It should be read by volunteers, parents and professionals alike, and in particular a new coach. In it, you are introduced to the concept of child abuse in sport, in all its forms and are given ways of both recognising warning signs and acting on concerns. In general terms, neglect as a form of abuse occurs when a child’s essential needs for food, warmth and care fail to be met. Whilst there are many ways in which the welfare of young players can be safeguarded, this document does not go into detail and further guidance can be sought from the ‘RFU/RFUW child and young player protection policy’. Sutton & Epsom maintains that the safety of the children and their enjoyment of the sport is paramount. Both parents and coaches have a part to play in ensuring that competitive pressures are not allowed to dominate. 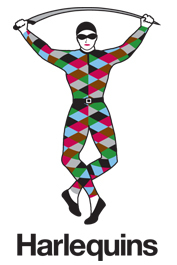 The Club rigorously adheres to the RFU Codes of Conduct. These are displayed on the notice board in the Clubhouse. They govern the conduct of the coaches players, parents and spectators. The Club will take any breach of these codes very seriously. 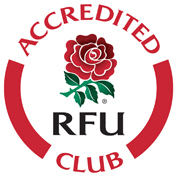 Every player must be registered with the Club and the RFU. Annual subscriptions are payable to the Club after a short introductory period on the players first season. Once you have joined the Club you will receive a Black & White handbook. It contains contact details of the officers of the Club. Each age group has a lead coach and a team manager. You will also receive in due course an Identity card with your child’s RFU membership number and photo on it. Some of the Mini fixtures are festivals, which involve playing in games over the whole day at a rival Club. Membership of the Club includes use of the Club’s facilities, including an active social membership and use of the Bar.The Club provides food and hot drinks between 9am and 1pm every Sunday. All children must have the correct equipment. Boots must have the right studs and players must have a gum shield. Club kit is available from the Club shop although this is not mandatory, however your children will be required to wear the correct club colours at festivals. It is important that parents get to familiarise themeselves with how the club is run and contribute to it. A club representative will give you a guided tour of the Club & Clubhouse – bar, toilets, canteen, shop and notice board. Pitch allocation will also be explained. Most Mini & Junior coaches are parents who have previously played the game and have some empathy with children. The Club supports them by providing practical advice and role models. They are also encouraged to undertake appropriate RFU courses to which the club makes a contribution. All Mini & Junior coaches and team managers are required to be CRB checked. Each age group should also have a parent/other adult who is qualified in first aid. Again the club provides each age group with a first aid kit and will help in arranging training. Each age group is required to provide volunteers for Bar duty at least twice a year. This runs from 12 – 2pm following training. Details of these dates for your age group can be found in the Black and White handbook. The respective age group will also need to provide a volunteer for that Sunday morning’s Duty officer. The Club’s Under 11 age group runs a mini festival every year and other volunteers are always required to help with this. Any problems or queries should first be addressed to the Team Manager or Lead Coach for your age group and then to the Mini/Junior chairman; or if more appropriate to the Club Safeguarding Officer. Should my child play competitive sports? Properly organised youth sports programmes can offer a positive growth experience for children. Children are not merely small adults. Their needs are quite different. The quality of their experience depends on both effective coaching and effective parenting. What is the central issue in coaching young players? The value of youth sport is proportional to the child’s opportunity to grow as a person while also having fun. “Winning” is clearly secondary. The exaggerated emphasis on winning that characterises so many sports on television should not be carried over to children. Effective coaches teach children the proper balance between competition and co-operation. In sport for the youngest children, it is not necessary to keep the score. As the children get a bit older and their skills and interest increase, the intensity of competition should rise in proportion. What is the role of self-esteem? Good coaches boost children’s self-esteem. Moreover, children with low self-esteem are more vulnerable. They have the need for a good sporting experience.They can gain more from good coaching and suffer more from bad coaching than children with high self-esteem. What is the ideal relationship between parent and coach? Parents play an important part in the players experience. This is represented here. Note that with skilful parenting and effective coaching, the triangle is filled with fun and growth. When one or both are missing, the triangle and therefore the playing experience may be hollow. What is the key issue in effective parenting of the young rugby player? Here again the issue is self-esteem. Positive reinforcement by the parents is critical. Repeated praise for gradually increasing skills enhances self-esteem and motivation to participate – this applies to all ages. What is the parents role on the side line? On the sideline the parents should encourage and support. Younger children find it difficult to understand or appreciate their parents arguing with the coaches or match officials. What is the key characteristic of effective parents? The children know they are loved for who they are and not how they perform, either on the playing field or in the classroom. It is estimated that one coach is necessary for every eight children participating in junior sports. Consequently, in many cases, if the parent does not coach, there will be no team for the child. Coaching effectiveness training becomes a tremendous asset in this situation.